Positioned on an expansive erf this seaside home has the added advantage of spectacular coastal views. Tastefully renovated, the material choices have been paramount in providing an overall aesthetic of serene elegance. 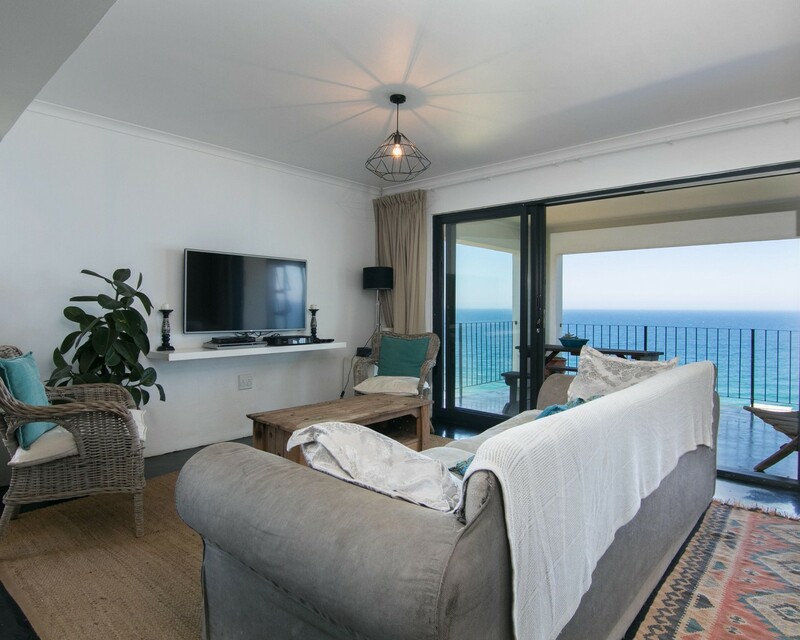 The main living area comprises a voluminous space providing the perfect setting for drinking in the coastline vistas, complemented by a practical kitchen adjoining a dining area, lounge and built-in bar that opens onto the outdoor patio. This living space is effectively used independently from the upper levels where 4 bedrooms are located, 2 being en suite, including the master bedroom. A 5th bedroom, also en suite, is on the lower level.